Kelly is a qualified lawyer and senior associate with WH Partners who advises both international and local clients. 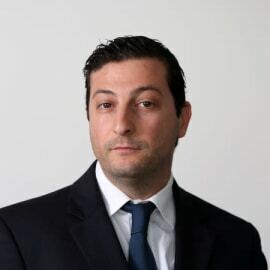 He specializes in distributed ledger technology and financial services, with a special focus on investment and payment services, anti-money laundering, securities, capital markets and private placements equity issues. His current work includes advising multiple companies on token sale projects and ensuring that such projects do not fall under MiFID II (particularly assessing whether the token would be classified as a MiFID II financial instrument) or the Prospectus Regulation. Kelly graduated with a Doctor of Laws degree from the University of Malta. He is a member of the Malta Chamber of Advocates and was admitted to the Bar in Malta in 2011. In addition to his legal education, Kelly holds a Masters in the Science of Finance (CFA Programme Partner) from Trinity College, University of Dublin with a dissertation entitled, ‘A Sovereign Wealth Fund for All’ for which he obtained a distinction. This allows him to provide complex advice to his clients.